"You look hot, my son," said the cleric. "why don't you rest a moment, and I'll give you a hand." "No thanks," said the young man. "My father wouldn't like it." "Don't be silly," the minister said. "Everyone is entitled to a break. Come and have a drink of water." Again the young man protested that his father would be upset. Losing his patience, the clergyman said, "Your father must be a real slave driver. Tell me where I can find him and I'll give him a piece of my mind!" 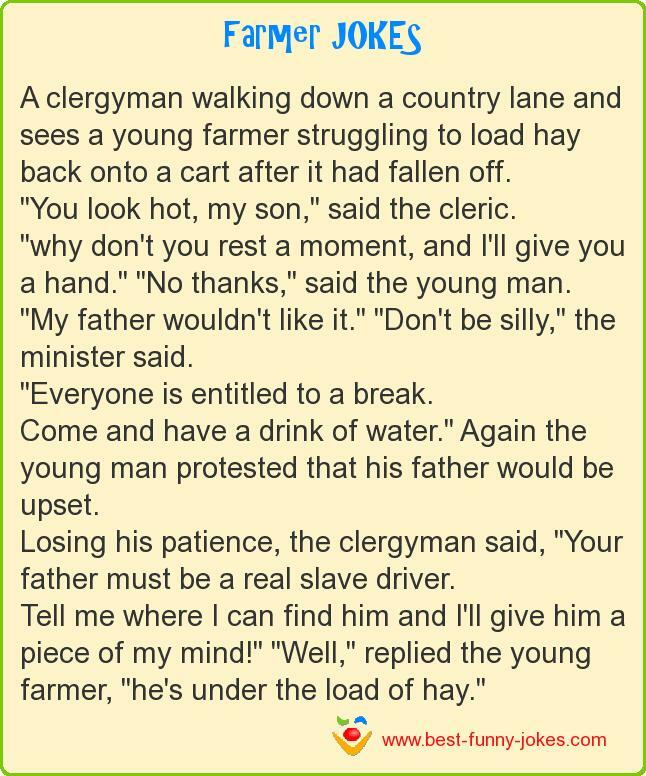 "Well," replied the young farmer, "he's under the load of hay."